Nearing the 1960s, the nurses, midwives, and nuns of Nonnatus House in London's East End enter a time of social change. 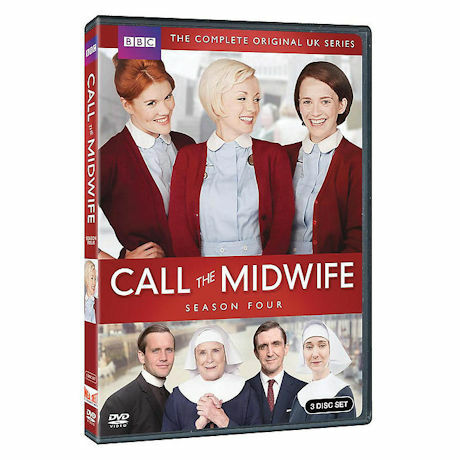 Starring Jessica Raine, Jenny Agutter, Pam Ferris, and Miranda Hart, inspired by the best-selling memoirs of Jennifer Worth and narrated by Vanessa Redgrave, this hit British series is a fascinating look at midwifery, family life, and the plight of the poor and female. Seen on PBS. 8 episodes plus the 2014 Christmas special starring Redgrave as a mature Jenny. 9 1/4 hrs, 3 DVDs.